Hi friends! 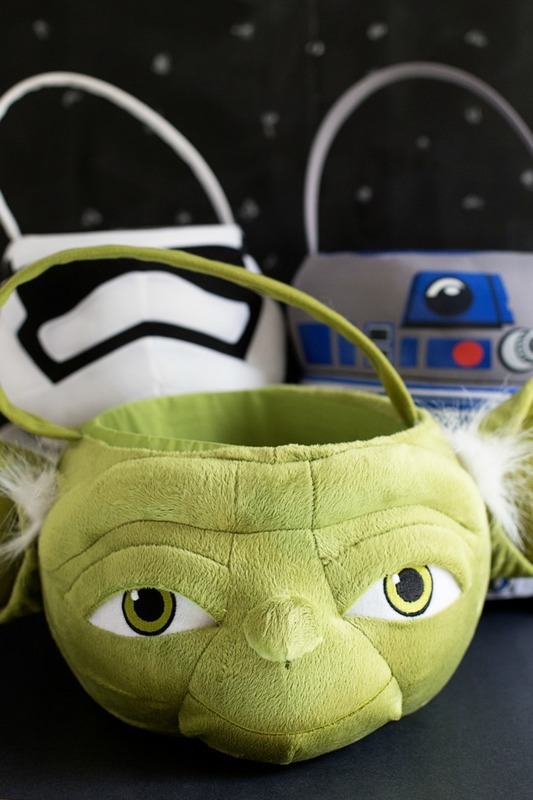 Easter is right around the corner and if you have Star Wars fans in your house like I do, you’re going to love the Star Wars Easter products at Walmart this year! I headed down to our local Walmart and in just one trip had everything I needed to whip up the cutest Easter baskets for our boys. 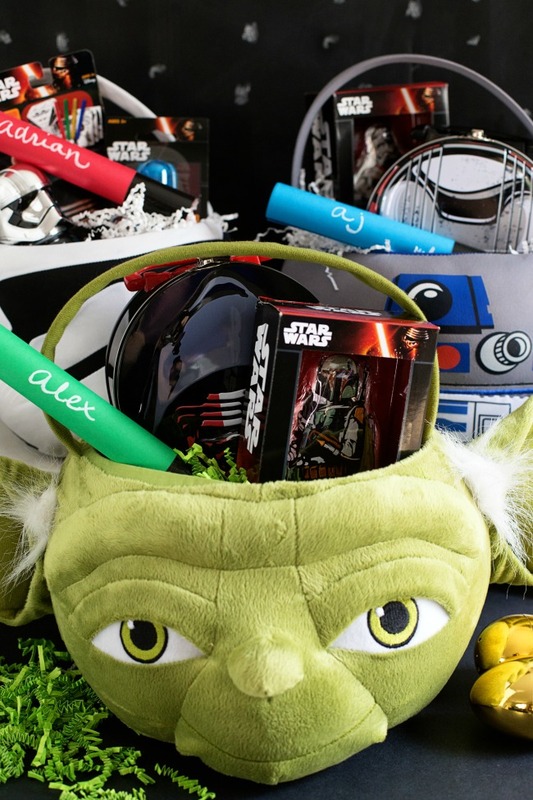 Walmart has all the Star Wars goodies you need this Easter to fill your baskets – from character shaped baskets like the Yoda, R2D2 and Stormtrooper baskets like I picked up to all the goodies you can fill them with! 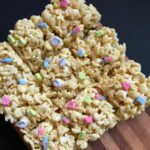 I loaded up on little tin lunch boxes, bubbles, activity sets and more – plenty of non-candy goodies that can make Easter baskets just as much fun! Of course I did have to sneak in a chocolate storm trooper and Boba Fett, my youngest is going to flip out over that one. Boba Fett is his favorite! Right up there with Kylo Ren. 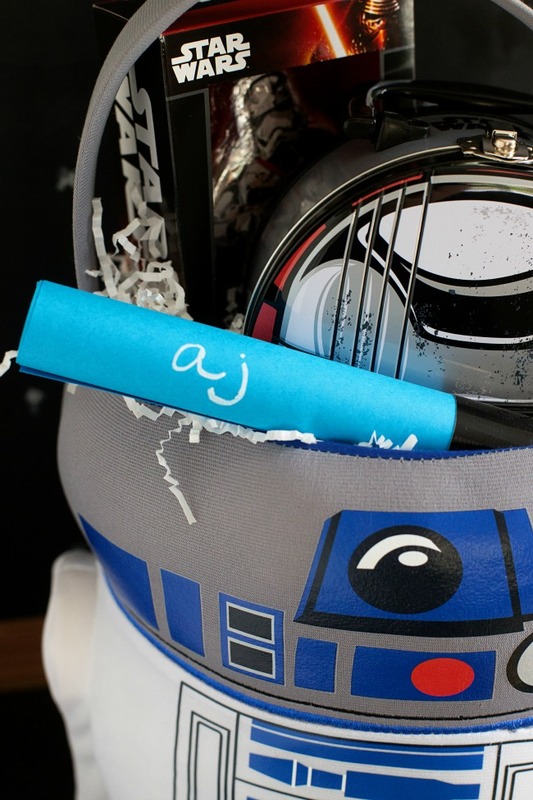 Then to personalize the baskets I whipped up easy “Lightsaber labels”. 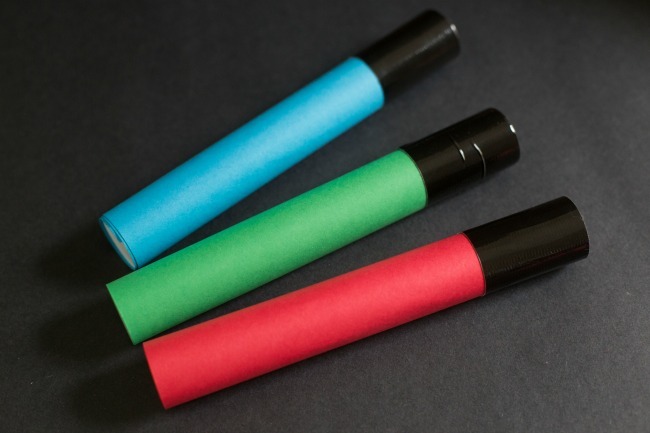 Just a little tube, colored cardstock and duct tape is all you need to whip them up. 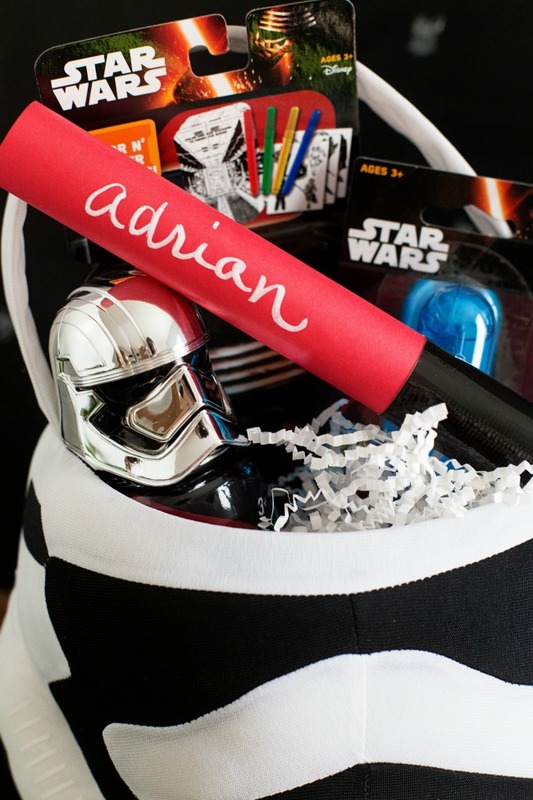 Then just add your kiddos name to easily label your Star Wars Easter Baskets! 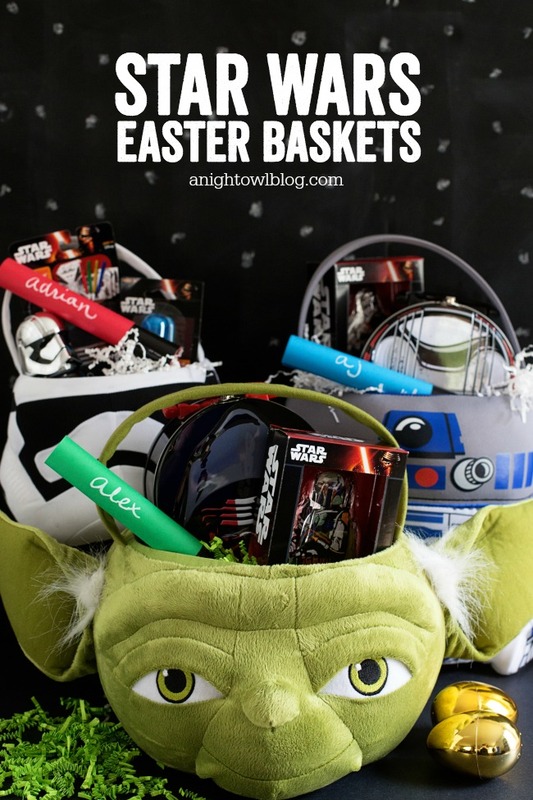 Then add in all your Star Wars Easter goodies, toss in a little Easter crinkle and you’re ALL SET! I’m so excited that in just one trip to Walmart I have Easter all taken care of! 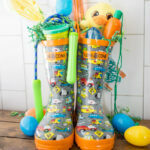 I love how the baskets turned out and am 100% certain that my boys will be ecstatic! 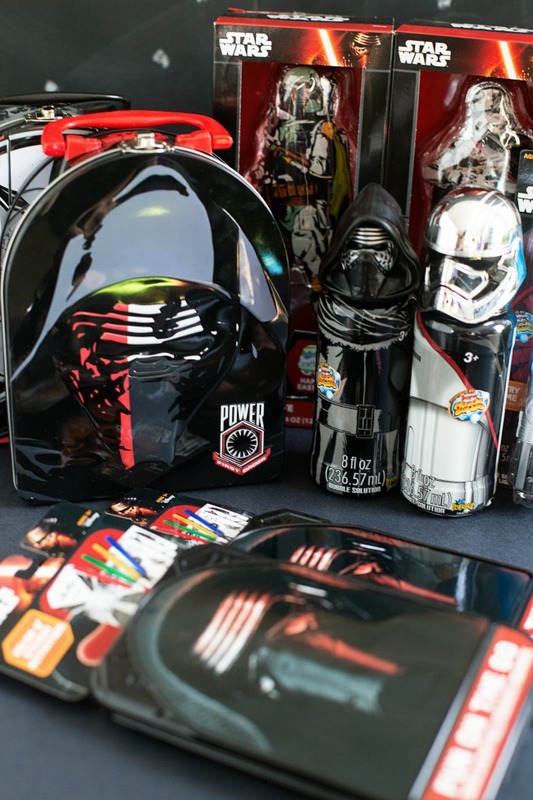 So if you have Star Wars fans in your house like I do – head down to Walmart TODAY (don’t wait, they’ll soon be gone!) 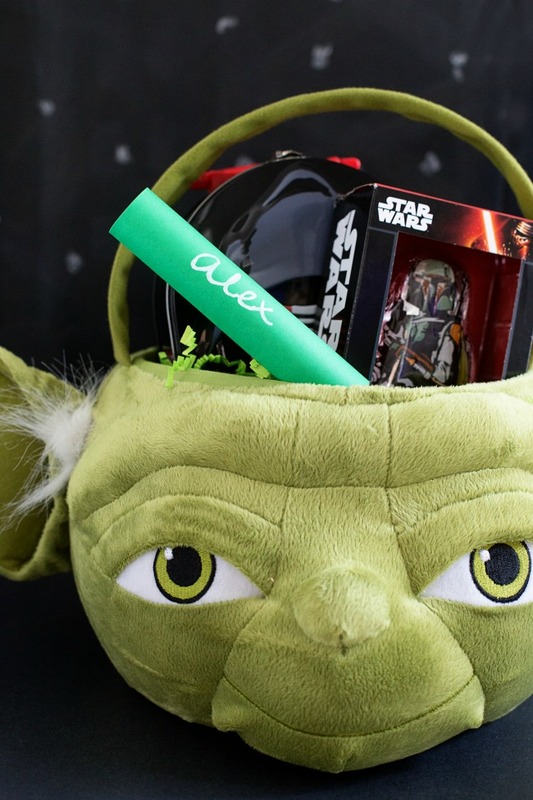 to pick up everything you need for Star Wars Easter Baskets that are out of this world! 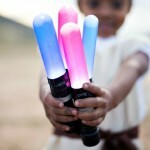 This is a sponsored conversation written by me on behalf of Star Wars. The opinions and text are all mine.